The time has come for Agent G to leave the International Refugee Society. The most notorious murderer for hire and cyborg spy. In order to do so, and live in peace, Agent G must remove the president from her position, throw the Society into chaos and convince the other “letters,” the ones he has not killed, into joining him. Agent G’s ultimate goal is to retire and live out the rest of his short life but not before correcting some wrongs and making amends where he can. 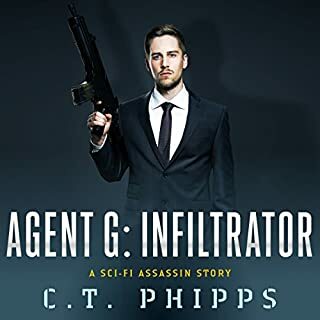 CT Phipps continues the dangerous adventures of Agent G with new twists and villains with humor and pop culture references. The story of G flows smoothly with some intense moments that only Phipps can deliver. Jeffrey Kafer, the narrator, performs the story with voices that are pleasant and interesting. He becomes Agent G as the puns and pop culture references roll off his tongue with no effort – it is as if he really were Agent G. Kafer has nailed the indifference, anger and every other emotion of Agent G to perfection! 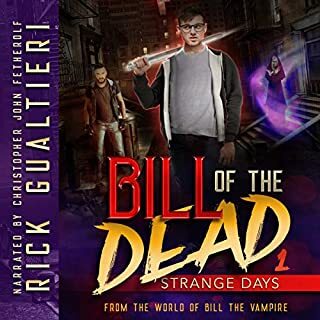 This is an entertaining book that keeps the listener on the edge of their seat and guessing as to the pop culture references. The book is fun and highly entertaining. There were no issues with the production or quality of this book. It was professionally done. Overall, I thought that Saboteur was a blast of a story from beginning to end that kept me on the edge of my seat. Phipps wrote a story that felt real even though it was set in the future. And Kafer’s performance took it to the next level. I requested a free copy of this book from the author. It has not affected my review in any way. This is book 2 in the Agent G series. I highly recommend listening to book 1 first, which was great! Agent G is like a sci-fi James Bond. He is a highly trained assassin, but he's also not quite human. He is a cloned mind inside of a very realistic looking android body. After he leaves the International Refugee Society, he goes to work for the US government and tracks down the remaining members of the society. Great series so far and a great narration by Jeffrey Kafer. Step into the chaotic world of spy, Agent G.
Jeffrey returns to voice Agent G and his chaos. Jeffrey is awesome at carrying through with the voice that Agent G holds, calm and collected. Jeffrey brings the world of spies to life through different tones that give us a different feel for the characters present. Always a great pleasure to listen to Jeffrey do his thing. We dive right into action with Agent G. That is how he lives his life, after all. There is no lack of fighting, guns, or running in this book. Agent G and Marissa's banter makes me smile. Even when they have a serious moment there's something to compare or bring up, keeping the moment light. But through the fun you can feel there is more to be said and going on. Agent G gets a little deep in his feelings in this book. He's only known relationships that are strained or stressed, not the "normal" life he thinks they could be with his profession. The Society, in how they lived and worked, was a huge motivator behind the relationships he's had. Agent G seems to have no filter when he speaks. He tells it like it is, or so it feels. He tells little lies or omits items, which can be needed in the spy business. I found in any conversation Agent G is having, I'm wondering who's lying. I never know what's the truth and what is being told to appease the other until they get what they want. This makes me suspicious of people and of what's being said. I try to figure it out as the story goes on. That's part of what keeps me drawn to the story, looking to see what's truth and what was false, and how it all ties into the plot. Friendships and relationships (no matter how strange they seem) are something important to people, even cyborgs. And Agent G starts to see this with those he knows. Even though Agent G is a cyborg with "memories," he's become his own person in thinking. He gives the feel of wanting to have friendships and more with people. C.T. is great with dialog. The characters interact greatly, telling us all that's happening with what is said and even with what's not said. This is something that's big in his books. Though, sometimes it feels like the conversation can be too long for me as I'm ready to move on to the action or the next step. Of course we get the debates and references to books and movies, that make me smile as I know what they are. lol. There are actions and twists that remind me of spy movies and more too. This brings the fun into the story. I always look forward to C.T. 's books and adventures. Agent G is one of my favorite spies around with many elements I enjoy in stories. 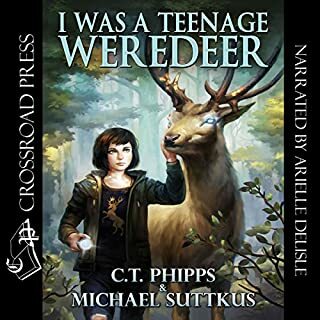 Even though I did not listen to book 1, I really enjoyed this story and the characters. C.T. 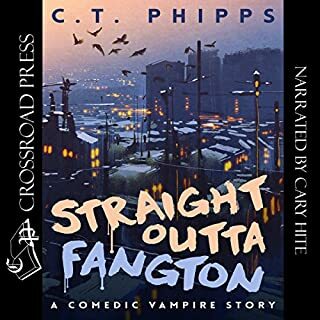 Phipps writes an entertaining story that keeps you engaged. I've become a fan of Jeffrey Kafer and C.T. Phipps and have really enjoyed their previous collaborations. Especially the Supervillainy Saga. This one is a great spy/assasin story. The action is so much fun and it still has the snark I've come to love from this author. It's delivered by Jeffrey Kafer's great voice acting skills. Definitely a book I'd recommend for anyone looking for a good action movie of a book. I liked this audiobook. It contained at least three genie's, that keep the story rolling along. Now for the obligatory: "I was given this free review copy audiobook at my request and have voluntarily left this review." 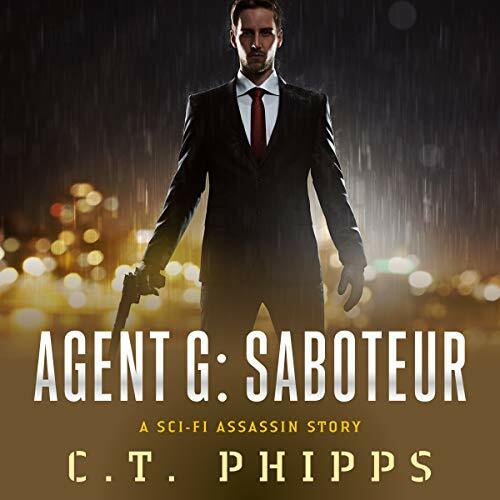 Agent G: Saboteur is the second in a series, and I jumped at the opportunity to review it. 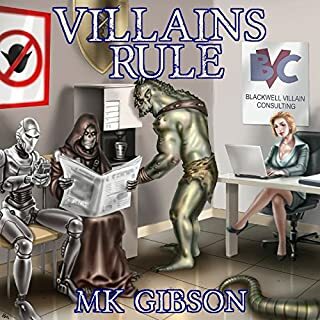 I had been introduced to the character of G in Phipps's Supervillainy series where he did a crossover to book 5, The Tournament of Supervillainy. So full disclaimers here: I was given this free review copy audiobook at my request and have voluntarily left this review. I haven't read or heard book 1. We start right in the middle of the action with G and Marissa, who is G's love interest through most of the book. We continue with non-stop action to the very end, and perhaps because I didn't read the first book, I felt I was missing a lot. This definitely leans into cyberpunk but continues the general pop culture references that Phipps does so well. Other reviewers have called this James Bond cyberpunk, and there is a certain truth in that because the listener is never sure who is friend or foe or where the next double-cross will be coming from. 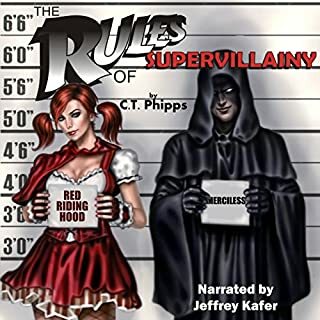 Narrator Jeffrey Kafer brings the vocal swagger that makes the character believable. Because I have listened to him with the other Phipps series, it's hard not to hear those other characters, but as a listener, the familiarity is comforting. Definitely recommended for those who love cyberpunk and espionage tales. Do yourself a favor, though, and start with book one.